NowRenting streamlines communication between you and the tenants you manage. Get a free local phone number and NowRenting email address to give to leads and tenants for each property. All text messages and emails enter your NowRenting inbox so you can track all correspondence related to a single lease. What’s more, you can communicate with tenants via mobile app or browser! Tenants can quickly submit maintenance requests with photos of the problem directly to you. These are organized in your dashboard on NowRenting so you can track new requests and follow through on fixing the issues at hand. Send alerts to tenants quickly for maintenance visits or when a lease is about to expire. Whether it’s an emergency, a heads up about alarm testing, or rent reminders, your tenants receive the alert immediately. If they have questions, they respond to your NowRenting inbox. 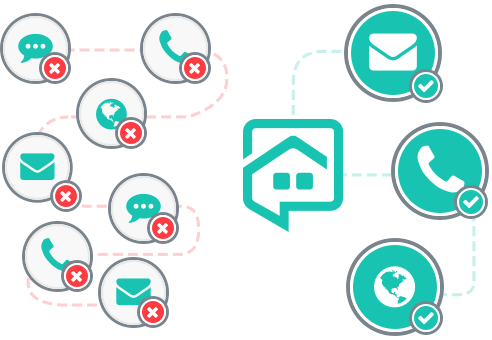 With NowRenting, communicating with tenants has never been more efficient. Sign up today and improve how you correspond with tenants residing at your rental properties.